This is Erik Braunitzer, from Elliman Real Estate in New York City. I am very excited for the opportunity to guest post for Melissa & Virginia here at House To Home Blog. By Erik Braunitzer, and compliments of Douglas Elliman Real Estate Company, agents for NYC Rentals. There’s a lot of emphasis these days on going green, but one of the places it’s heard most is in the housing industry. The way we use resources in our homes as we go about our daily lives has a tremendous impact on our carbon footprint, and this is especially true in one of the most energy-heavy rooms of the house: the kitchen. 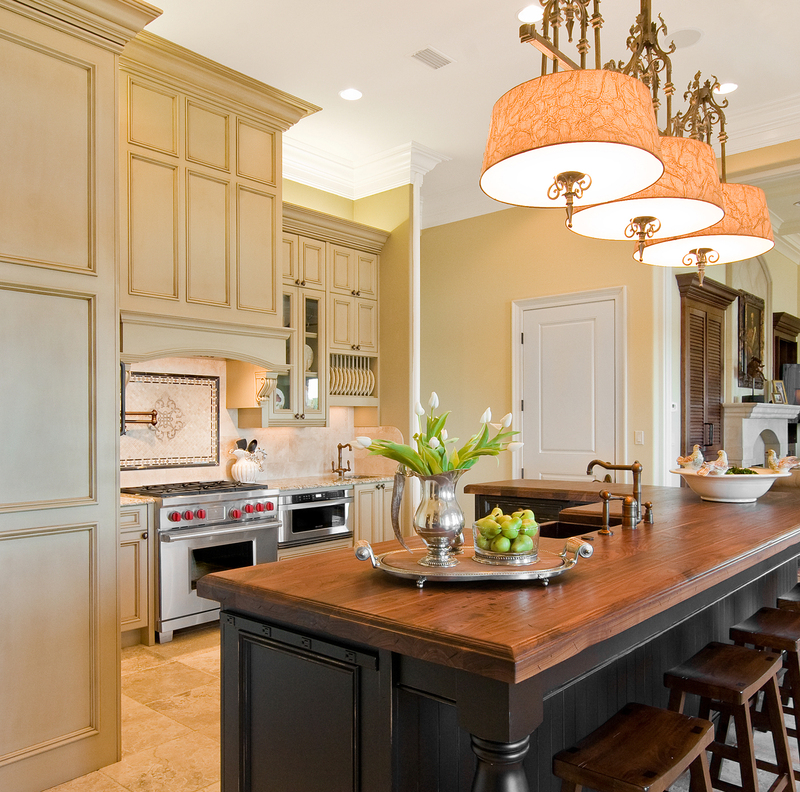 Appliances: A home’s kitchen is its heart. All too often, it’s the heart of our electrical bill, too. Kitchens are full of large, energy-sucking appliances. One of the most direct ways to reduce home energy use is by ensuring that all major appliances such as stove, fridge, microwave, and dishwasher are energy-star compliant at the very least. Exceeding those standards would be even better. For dishwashers and faucets, purchasing models that use less water or utilize low-flow technology is another key element. 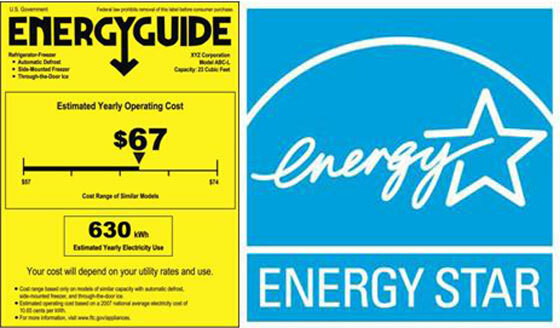 Look for appliances with the energy star sticker. Not only is this better for the environment, but you will save loads of money on your bill. Lighting: A combination of natural lighting during the day and efficient lighting in the evenings add up to green savings. Compact fluorescent bulbs can be used in existing standard-sized sockets, and last up to ten times longer than standard incandescent bulbs. Alternatively, LEDs are even more efficient, lasting up to ten times longer than CFLs. During the day, try to not flip a switch on at all, and instead use the light from windows. If existing windows are old or drafty, consider replacing them with an energy-efficient alternative. Most of a home’s heat loss occurs through its windows, so it’s important to find a balance that allows plenty of natural light without sacrificing excess energy loss. Counters: Counter tops are the real workhorse of a kitchen, but green can still be tough. 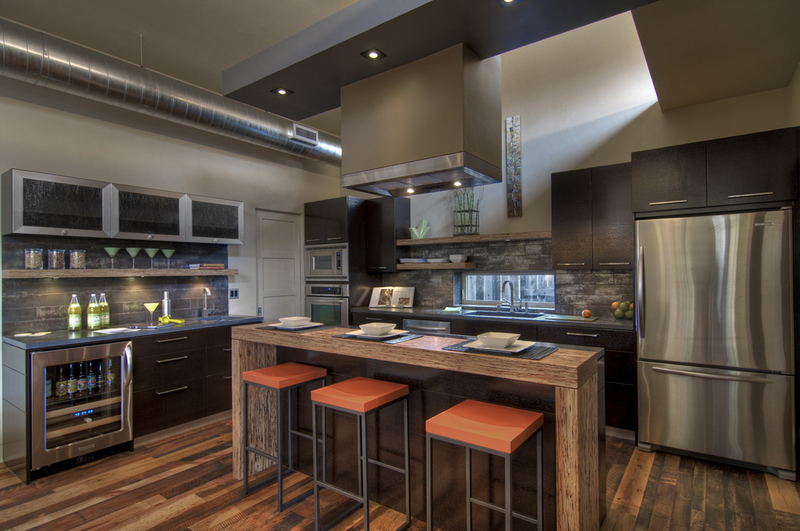 Kitchen counters can be made of recycled glass, sustainable hardwoods, renewable bamboo, or natural stone. Any of these options provides a beautiful, chemical-free alternative to the typical plastics-based counter top that may be off-gassing toxins into your home for years to come. 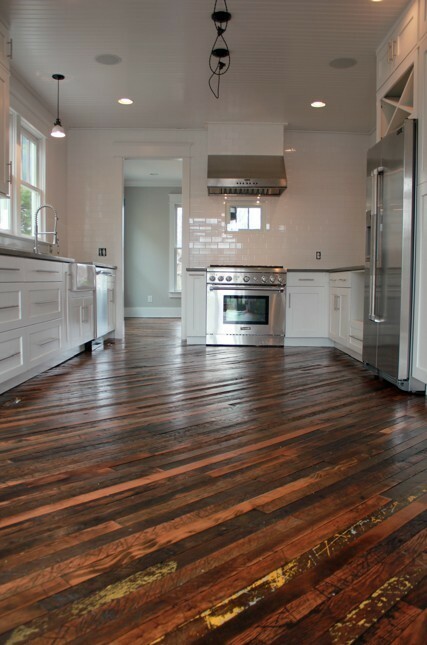 Flooring: Replacing worn vinyl with new vinyl doesn’t solve any environmental problems. Vinyl is a petroleum-based product that cannot be recycled, does not degrade, and has a limited lifespan. The production process required to create vinyl includes toxic waste as one of its main byproducts. Natural linoleum or cork flooring is comparable in price to high-end vinyl, have natural antimicrobial properties, and are both very durable. Both are renewable, and biodegradable, making them ideal for the homeowner who wants to go green. 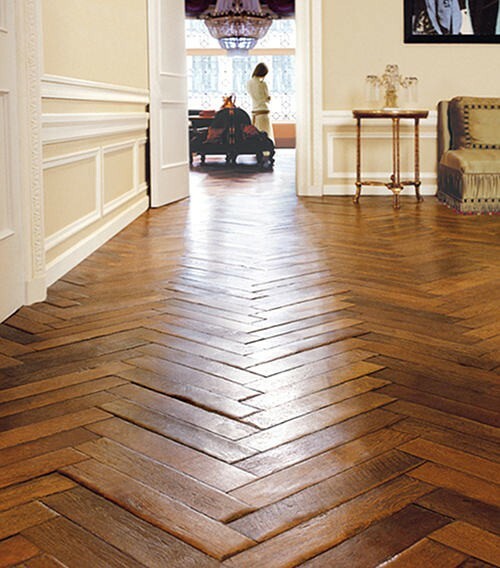 Natural tile and bamboo are other good alternatives. 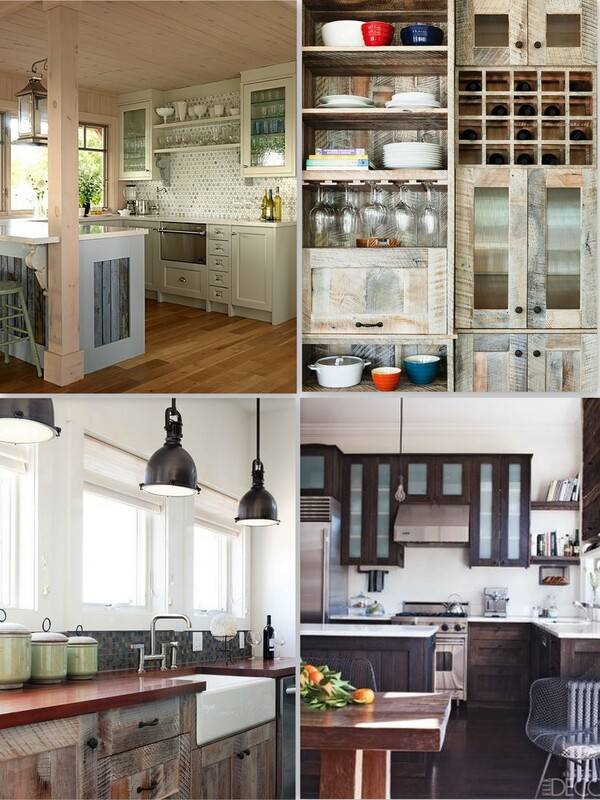 Cabinets: Remember, being green isn’t just about using non-toxic, renewable, or energy-efficient products. It’s also about keeping waste out of landfills and making the most out of your existing resources. If current kitchen cabinetry is dated but still functional and sound, a quick coat of glossy zero-VOC paint can bring them up to date. If the alternative is to rip out the kitchen and dump the cabinets in a landfill while replacing them will all-new cabinets made from recycled or sustainable materials, which option is really better for the environment? High-quality non-toxic paint is a whole lot easier on the budget, too. Remember, going green isn’t just about physical surroundings. It’s about the decisions we make every day. This includes making smart choices about water usage by taking short showers and only running full wash loads, recycling, composting, and carpooling. A few small changes tossed in with all that remodeling will make it easy to be green. Erik is a member of the creative writing & web strategy department at PDE. Along with an experienced team of writers, he blogs mostly about interior design and issues of sustainability. For more information, feel free to contact Erik directly.